Hey there everyone! Today is the second day of sharing my favorites from CHA Winter 2011 posts! All this week I am going to share one NEW thing with you each day that I found atCHA that I LOVED and hopefully it will be NEW to you TOO!! It may be a product, a trend or something creative. Stay tuned because I want to SHARE with all my lovely crafting ladies fun, affordable goodies that YOU WILL LOVE. So, I'm going to share with you the most ADORABLE epoxy making device from Epiphany Crafts that I totally FELL IN LOVE with!! 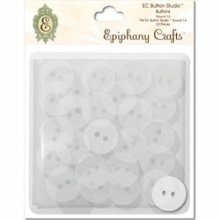 You can make your own custom epoxy shapes and acrylic buttons. Look at all the yumminess! 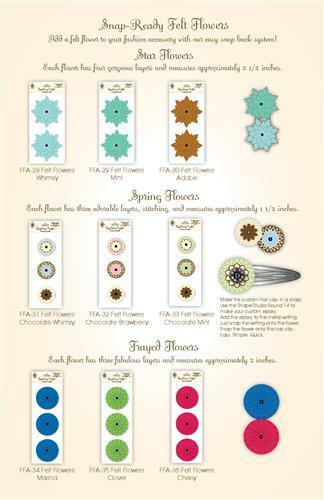 You can currently buy a button maker in two round sizes and they also have a flower shape and heart shape button maker. 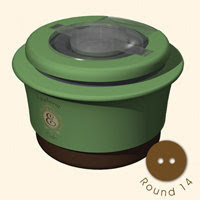 Here are the self-adhesive buttons for the Round 14 machine. 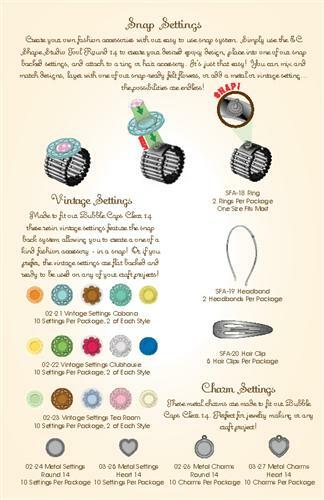 What was showcased at CHA Winter was their new product which includes Acrylic backs that are vintage, colorful and fun! 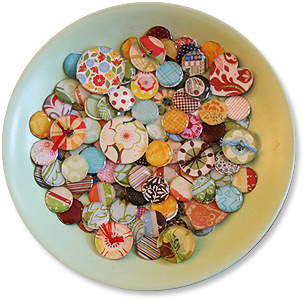 You just make a clear epoxy with your favorite patterned paper (The machine acts like a punch), set the adhesive clear circle in the machine on top of the punched circle it just made, press down with the special guard in place and VOILA! Then you can adhere the epoxy to their CUTE vintage backs! The Vintage settings and Felt flowers will be available at retailers NEXT week! Wow - this is a coolr gadget. I am starting love buttons so I may have to pick up one of these. I love your barret...so glad you had a good time at CHA.